To change a coil, unscrew the old coil and add a new one. Prime the new coil with a few drops of e-liquid. Replace the glass tube. 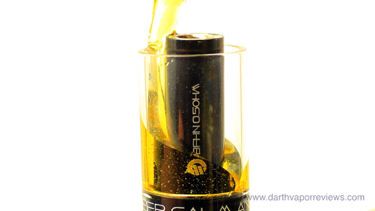 Fill with e-liquid up to the top of the glass tube. * Coils will have to be replaced. * Thin, pocket friendly design. * Easy one button design. 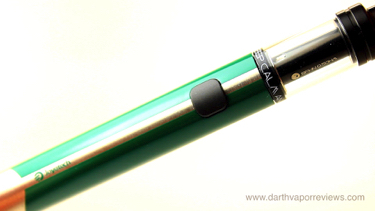 * Excellent vapor for a small device. 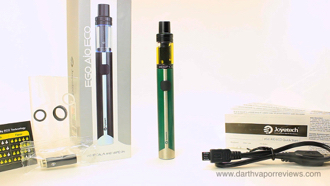 The Joyetech eGo AiO (all-in-one) ECO features a 650mah battery with a 1.2 milliliter tank. The kit comes in a sturdy cardboard box with a slide off sleeve. Inside, the kid contents include: a Quick Start Guide, a Coil card, spare parts, USB charging cable, two-BFHN 0.5ohm coils. 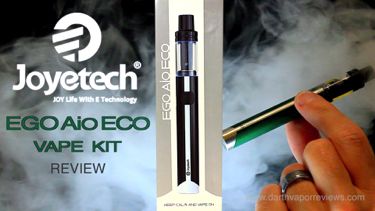 One comes pre-installed and the eGO AiO ECO e-cig. 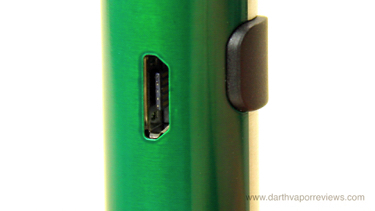 Charge the eGo via the micro USB charging port located on the side of the battery. 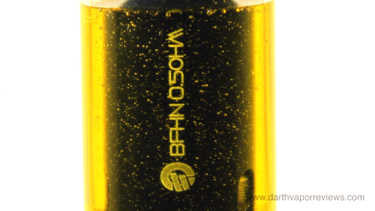 The eGo is roughly 4-1/2" in height by 1/2" in width. Replace the mouthpiece. Turn it on with five clicks of the power button and you're ready to vape. 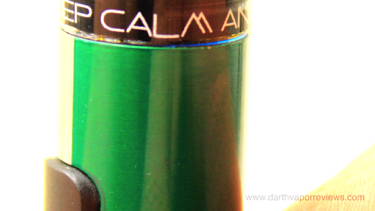 The eGo AiO ECO has a long name with a lot of letters in it, but it still vapes great. So far, I have had several hours of vaping time on one charge. The only con is that at some point, you will need to purchase replacement coils. Overall, an excellent starter kit for beginners or experienced vapers looking for a smaller device. The Aio or all-in-one kits are becoming the new norm for beginner vape kits. 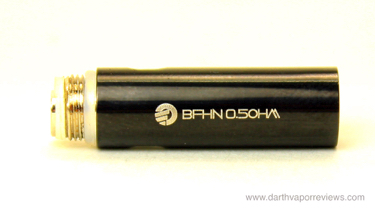 They are easy to use, small so they fit just about anywhere and they are quick to re-charge. 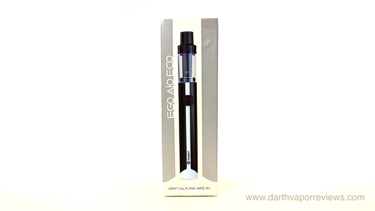 The Joyetech eGo AiO ECO currently runs in the $15-$20 range and comes in five colors to choose from. If you would like to pick one up for yourself, just click on the links or the logo below. 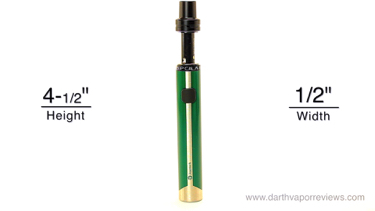 Have an excellent day and may the Vape be with you.